Below you can view all the homes for sale in the Hi Roc Plantation subdivision located in Conyers Georgia. 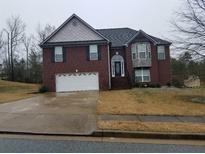 Listings in Hi Roc Plantation are updated daily from data we receive from the Atlanta multiple listing service. To learn more about any of these homes or to receive custom notifications when a new property is listed for sale in Hi Roc Plantation, give us a call at 404-998-4166. Upstairs Has Mini-Suite With Bedroom And Private Bathroom, Hall Bath; Oversized Owner Suite With Fireplace, Large Double Vanity With Huge Walk-In Closet, Extra Shelving. MLS#6537630. Exp Realty, Llc..
2 Bed/ 1 Bath Down Stairs W/Living Room Where The In-Laws Can Live In Peace. MLS#6510726. Bhgre Metro Brokers.